Vegetable Seed Germination. Times for seeds to sprout. Scarification and Stratification. How long does it take for vegetable seeds to sprout? 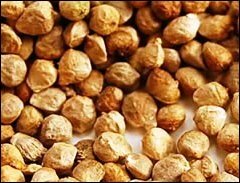 Should you scarify seeds? What about stratifying seeds? Here's a germination guide for the most common vegetables. Sometimes gardeners can't fathom why their seed germinating endeavours work well with some vegetable seeds... but then they make a complete pig's ear of other seed varieties. Scarification — why scarify seeds? In a natural environment, many seeds get battered about with weather (frost, rain, fire), sand, soil particles, and birds and animals' digestive systems. It's called seed abrading or scarification and in the home garden the tougher seeds, which we've carefully harvested, may need to be roughened up to mimic nature. Use moderate pressure and rub or roll some seeds with coarse sand or grit between your hands for 20 seconds (over paper or tray). Just lightly abrade the seed coat, don't harm further towards the embryo otherwise the seeds will rot when planted. 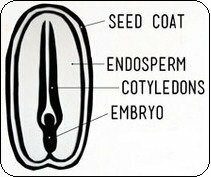 A nail file can be carefully used instead, sandpaper, or even make a nick with your fingernail anywhere on the outer seed coat, preferably opposite the hypocotyl or 'eye' which is where the new shoot will emerge from. Scarification — which vegetable seeds need scarifying? Luckily most vegetable seeds are soft and don't need scarifying. The exceptions are squash, spinach and legumes (peas, beans) seeds. Even then, it's not absolutely necessary, but if you find your seed germination rate is poor, experiment with scarification and see if you can improve the odds. If you wonder what large commercial growers do to scarify tough seeds, they use chemical means such as sulfuric acid. Stratification — why stratify seeds? Many seeds go into a dormant state and if you want to plant them when YOU want them to grow, you have to chivvy them along. You have to give seeds favourable environmental conditions to wake them up ready to spring into life. In nature, dormancy in seeds is usually broken when spring arrives with warm weather and rains, so that's easy to do, just sow your seeds in warm soil and water them. However, many seeds prefer to go through the same cycles as nature's seasons before germinating. So we stratify these seeds. In other words we mimic nature for them, tricky old us — and the seeds respond and burst into life. It's a simple matter of chilling these seeds and you can safely do this with most vegetable seeds except for sub-tropical and tropical vegetables, such as melons, peppers, eggplants and similar. 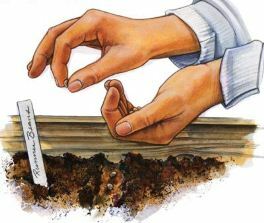 One method of stratification is to actually sow your seeds in fall or autumn. Let them remain over winter and they will naturally sprout in spring. This method has drawbacks in that you may lose seeds if conditions aren't right... extreme weather patterns, floods, wildly fluctuating temperatures... it's a bit hit and miss. 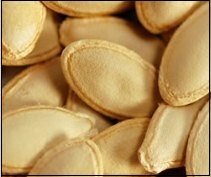 Otherwise, stratify your seeds by mixing with enough moist sand to surround them, seal in bag or container and store in refrigerator for 1-2 months. Bring them out and let them dry and slowly come to air temperature, then warm up as the weather naturally warms. Then sow and water these seeds when you're ready. The above explanations on Scarifying and Stratifying are very general. There are screeds written about the exact science of these methods and the specific seeds that benefit. Do follow up and read more if this subject interests you. It's quite fascinating. Finally, the age old way to jolly along seeds for successfully germinating is to simply pre-soak them. This takes care of any frustrations you may have had if there were gaps of unsprouted seeds in your pots or garden where you KNOW you SOWED seeds. Take a tray, layer a few sheets of newspaper or paper towels on the flat bottom, then pour in enough water for the paper to absorb it and allow a shallow pool surrounding it. Spread out your seeds over it, nicely separated so they have room to swell and sprout. Keep out of sun, but put in light so you can observe and wait. Plant out your seeds carefully as soon as they germinate. The advantage of chitting or pre-sprouting is that these seeds can usually grow in soil where the temperature would otherwise have delayed germination — especially if you're having an unseasonably cold snap.